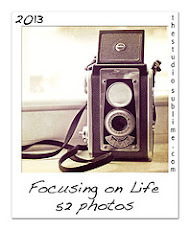 I am completely stepping out of my normal comfort zone with this 'Focus on Life' challenge hosted by Sally Russick at The Studio Sublime. I don't do well with commitments, but this is one of the things I'd like to gently change this year. This one sounded fun so I took the plunge! Week One's assignment was 'Self Portrait'. Something I don't do very often - take pictures of myself. So, here's my self portrait. Simple, done with the built-in iSight camera on my laptop. 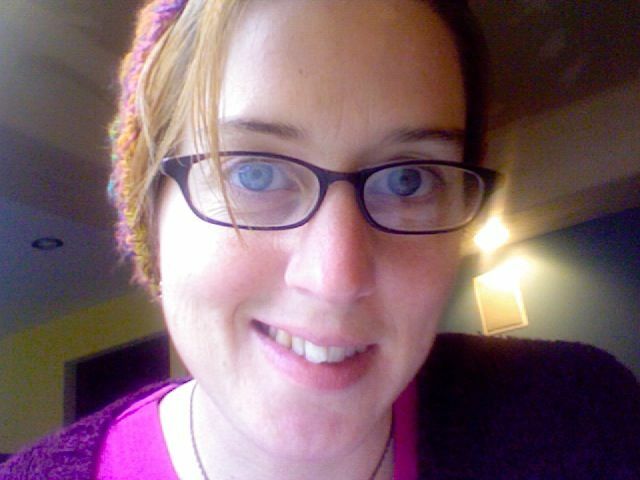 Wearing one of the crochet hats I made for myself last summer. I didn't edit the photo at all. So, hello world! This is me! Beautiful self portrait, Lisa! For not being in your comfort zone you captured a fantastic shot! Gorgeous eyes and so friendly, I love it! How cute!! You look very at ease in this photo. Hi, Lisa. Waving back! The purple looks great on you.